Twin Rivers Rehab offers exclusive drug and alcohol addiction recovery treatment for Durban with superior levels of anonymity and confidentiality to anyone suffering with an addiction and/or mental health disorder. Our addiction recovery treatment Centre is set in the tranquil and beautiful surroundings of Plettenberg Bay which is situated 1137 Km from Durban. So what is Durban famous for, besides drugs? Well; Primarily Durban boasts the busiest sea port in South Africa and probably the biggest in the African Continent! Durban is reportedly the second most important manufacturing hub in South Africa and has one of the most popular surfing spots in South Africa. The ‘Golden Mile’ is traditionally one of Durban’s biggest tourist attractions and sharks frequent the seas hence the name of the local rugby team. Durban has strong ties with India. In the 19th century contracted labour from India was brought to the Durban area and today Indian’s make up over 40% of the Durban population. Indian influence can be seen throughout Durban city hosting many mosques, temples, restaurants and the Victoria Street Market. Durban is known curry dishes and ‘Bunny Chow’ which originated in Durban in the 1940’s. Durban Poison is hybridized hydroponic cannabis made up of a Durban grown cannabis and a Dutch grown skunk cannabis which has become increasingly popular over the years nationally! Songs have been written about this drug and a local band boasts the same name! Both cannabis and alcohol are commonly known as ‘gateway drugs’ which means that the drinker or weed smoker can easily progress to other even more dangerously addictive substances. There is no shortage of psychotic episodes directly linked to cannabis use and when cannabis and alcohol are used together this can cause a number of social problems! It’s not rocket science! 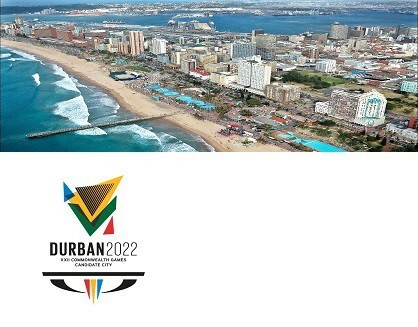 Durban is Africa’s busiest port and undoubtedly through Durban comes a fair percentage of South Africa’s illegal drugs. Durban has a problematic drink and drug culture that is not improving and is now devastating the local teenagers. A concerning trend that has grown over the past few years is ‘Sugars and Rat Poison’. Sugars is a potent mix of poor quality heroin and cocaine which has particularly impacted the Indian community in Durban. The actual quantity of heroin and cocaine is quite small and the ‘deals’ are ‘bulked’ up with sugar, baby powder or even rat poison! Our Drug and Alcohol Addiction Recovery Centre providing individualized, professional treatment and counselling to clients from Durban at highly competitive rates. The recovery programs are underpinned by the world renowned 12 step treatment programme and includes medically managed detoxification which is supported by a nurse and an addictions counsellor. Following a treatment program we have an aftercare program that offers support and encouragement.